On 10 April, the Fireworks! 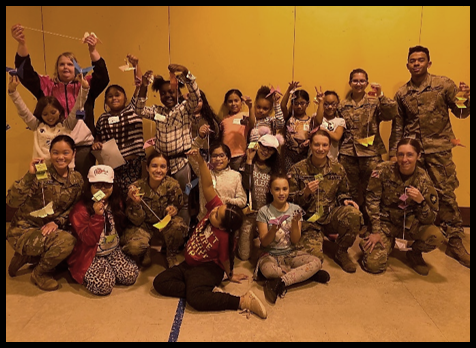 outreach team facilitated its final lesson of the academic year with the 4th and 5th grade girls of Meadow Hill Elementary School. 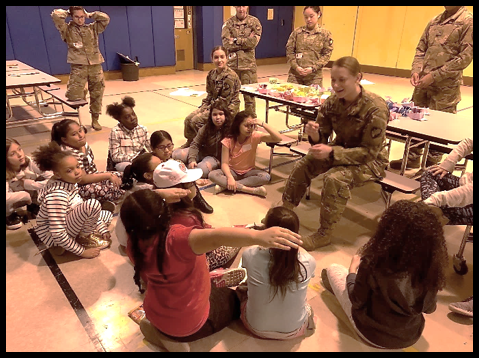 The final lesson was centered on having a healthy body image and the importance it has to being more confident, the foundational theme of the outreach. 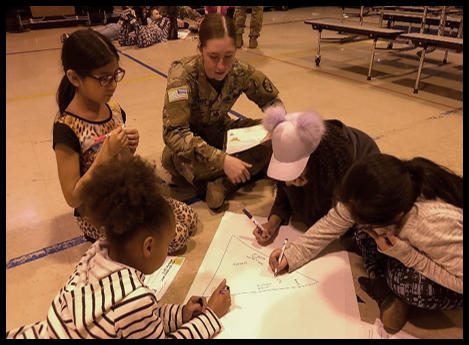 The opening icebreaker challenged girls to draw and discuss what society thinks a girl their age should look and act like. Cadets, in their small groups, then led discussions about differences, and why it is important to be different. This included a tough conversation about bullying people or being bullied because of difference. The conversations progressed to discussing the costs associated with trying to fit in with societal ideals, and social media expectations. 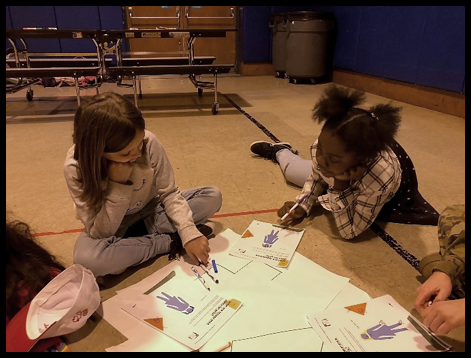 The girls of Meadow Hill Elementary School have truly developed over the course of the year. We are so proud to be a part of their lives. Fireworks! will return in the fall to start a new year of building confidence in girls!